What great PR for Taralye to have this aired on Channel 10. Sarah Murdoch as Ambassador to Melbourne’s Oral School for the Deaf, Taralye, visits the centre and talks to families about how the Cochlear Implant has changed their families lives. It was a strong reminder that services such as Taralye are vital to families with Hearing Impaired kids. Watching Chantelle , the mum interviewed, revisit the moment when she found out her first child was deaf rang true as one that never leaves you. We have come a long way already with Harry in the last 18 months and nearly 2 1/2 years since that day . It has not all been the perfect scenario but he is moving ahead at his own pace bringing sound to his world. You might notice there are a number of comments on the Channel 10 website under this segment from members of the Deaf community who felt Sarah Murdoch did not choose her words well… she referred to the children at Taralye as becoming normal rather than being deaf..we all know what she meant .. the gift of sound is not accessible or chosen by all deaf people/families, but for those whose lives the Cochlear Implant touches , it is without doubt the most incredible invention and a precious gift. We knew it was coming and here it finally is.. the latest Nucleus model with wireless capabilities. There is no news on a date for Australia as yet but any thoughts on the whether you will still need an accessory port if everything is wireless?? The FDA has given approval to Cochlear’s Nucleus 6! I remember when Harry was first implanted that the Cochlear Implant Clinic made a strong recommendation that the processors should never get wet. 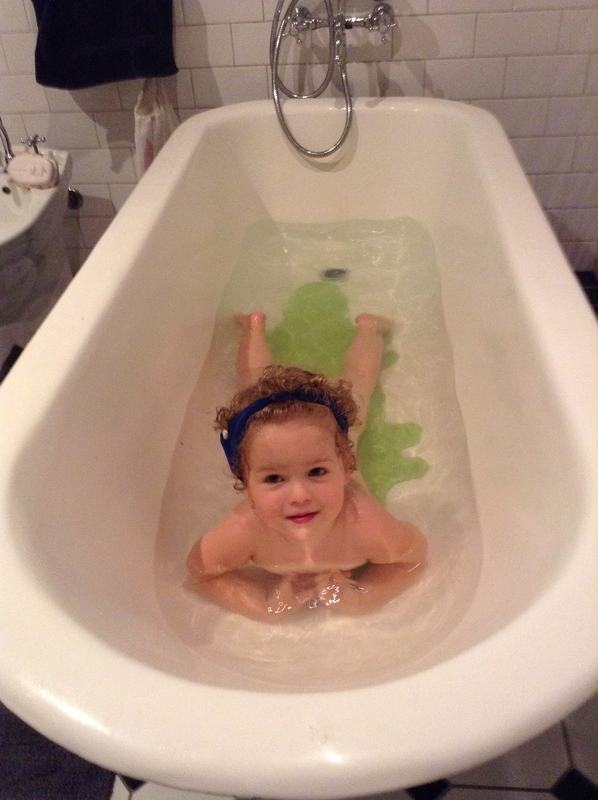 A few months ago, probably around the time the Cochlear aqua accessory was launched, they revised their thoughts on this and talked to us about keeping the processors on in the bath as there were many benefits to hearing while bathing. The Nucleus 5 processor was in fact “splash proof” , they said. Well, I was game to try but splash proof I think must relate to sensible, controllable adults rather than excitable under 2-year-old boys hearing the sound of water in the bath for the first time.! They don’t really correlate. At the time I kept them on with my fingers crossed they would stay dry but alas it resulted in non stop splashes that required more than 1 towel to mop up afterwards. With a swift hand, I whipped off Harry’s headband and popped it in the Breeze Dry and Store product we got as part of our kit. To be honest this is the only time I ever use this gadget to dry off the processors after a bit of over zealous water play… The joy of living in Melbourne I am sure it gets used a lot in the North of Australia! recently I have noticed he is saying “No” quite defiantly if I take his headband off and he is wanting to hear. With this in mind, I have started leaving the headband and gear on for his bath. I draw up a very small bath ( as in not more than a few centimeters deep) in the hope the less water, the less splashing. Yes I am optimistic! But I am also noticing since we have returned from our holiday that he is listening and responding much better to instructions. I now say ” small splashes only please Harry” and demonstrate what I mean by a small splash ( so not the Alice or Tess version). For a short period of time it works and I can keep him playing in the bath with sound. Really this is a revelation as I always thought water play would be a silent activity for Harry. 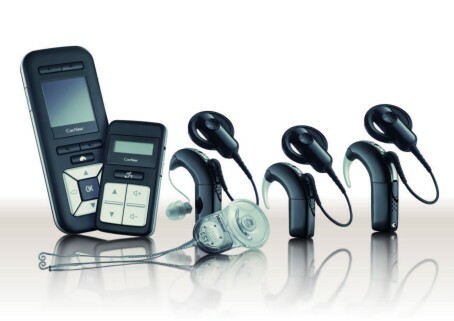 I am yet to purchase ( click here for demo video) Aqua accessory that Cochlear has put out. It seems to me to be a bit cumbersome and the fact you have to use a new one each time to ensure it stays 100% waterproof appears to be an expensive exercise. So ,I think it is time Jane and I put our thinking caps on again and came up with a Bath/swimming design of the headband. It may be one that uses the accessory, I am not sure but we have a few months till summer hits.